Lift capacity up to 330 lbs. 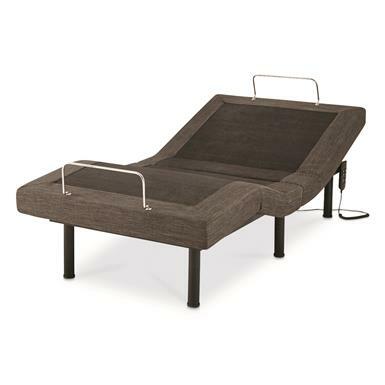 Legs adjust to 4", 7" or 10.5"h.
Elevate your sleeping style to new heights with this Adjustable Bed Base by Tranquil SleepTM. 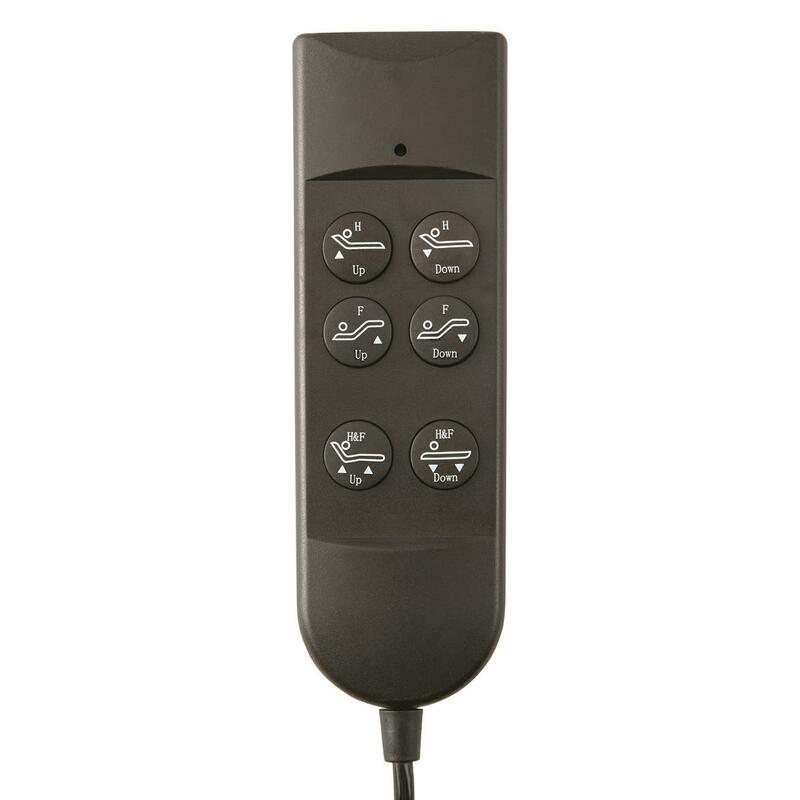 Convenient wired remote lets you elevate your head and feet to find your personalized zero-gravity position that reduces pressure points throughout your body. It's the perfect solution to help you get out of bed in the morning, those needing relief from sports injuries, for reading before you sleep—and more! 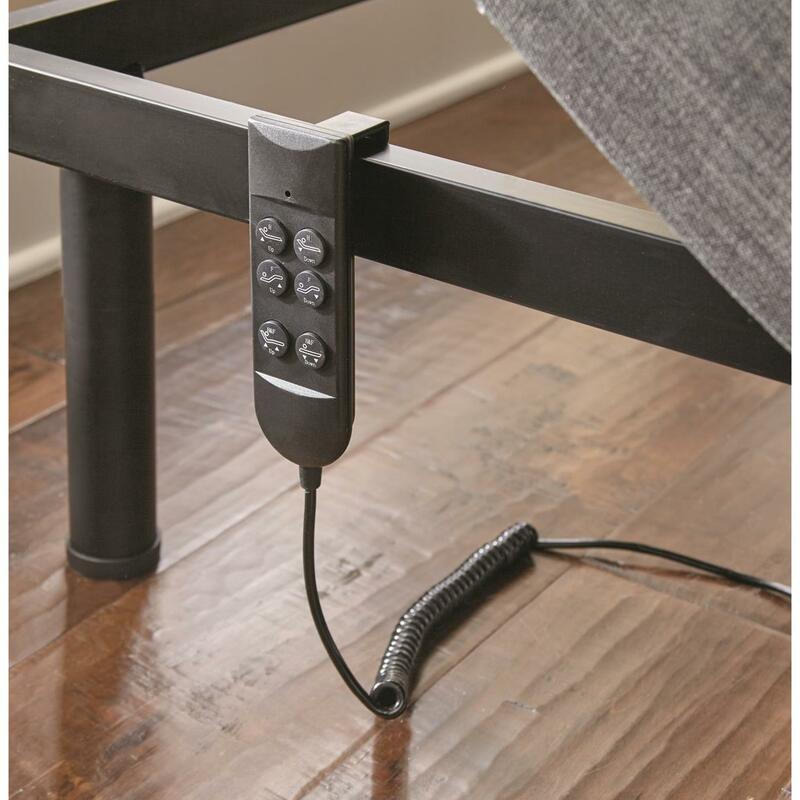 6 legs with adjustable heights support this heavy-duty system. Attractive grey upholstered sides will blend in with your existing decor. Includes 6 adjustable-height legs; legs adjust to 4", 7" or 10.5"h.
Leg adjustment heights: 4", 7", 10.5"
Lift capacity: Up to 330 lbs. CASTLECREEK Oversized Tractor Seat Bar Stool, 500 lb. Height adjusts from 25" to 35"
Built for the tractor enthusiast, to be enjoyed by all.